It is a technique to limit your losses. It automatically closes your position when you reach a certain price level. But after a while the price goes up, that is, your assumption was wrong and the price goes against your position. Of course, you can close the position at any time by hand, thereby fixing the loss, but, for example, you at this moment may simply not be near the monitor, or some emotional factor may work, a naive belief that the price is obligatory will unfold. Subsequently, losses can lead to the complete depletion of your account. If we pre-set the stop loss at a certain level, we thereby limit the potential risk in advance, knowing that in this transaction we will not be able to lose a more certain amount, or, more competently, a certain percentage of the deposit. Stop loss must be placed in the place where it will be clear that we were wrong. That is, where the setup loses its meaning. In this case it is obvious that our assumption will lose its force if the price goes beyond the extreme point of the tail. Accordingly, the stop loss we put a little above the maximum of the candle. In case of any technical emissions, we always add a couple of points. It should be noted that on some types of accounts it is impossible to put a stop loss simultaneously with the opening of the transaction, and you can do this only by opening a position. 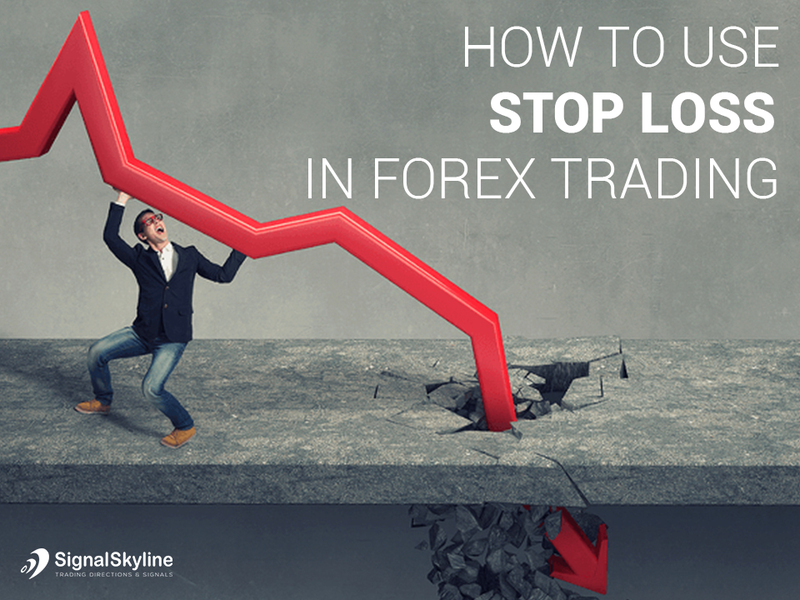 According to Forex stop loss strategy, we never set the stop loss exactly at the price high or low (point to point). It should be borne in mind that there are always possible small price spikes, and so that the stop by pure chance does not knock out such a splash. The strategy of the Holy Grail, proposed by Linda Bradford, takes its specific name from the terminology of traders, where “buying the Grail” is a kind of bottom on the graph, i.e. place of successful purchase and “sale of the Grail” a possible place for a successful short sale. The “Holy Grail” method is often used by traders who trade in the moving average. The basis of this strategy is buying on the rollback of the established trend going up, or selling at the trend correction going down. A prerequisite is also the absence of trade in the channel. Experienced traders typically use 14period ADX to determine the strength of the trend, and after 20 periods average exponential (EMA) to determine entry points and support. Many professional Forex market players believe that the ADX trend is more serious than the absolute level. At the moment, of increasing the ADX trend, you can start looking for a rollback to the 20-period EMA, as the corresponding entry point. Trading begins only when your customer is interested in your proposal or the purpose of the transaction. The purpose of the negotiation is to find common ground on the terms of the transaction. The previous stages of the sales interview must have been completed and your client must now express the desire to want to work with you. If this is not the case, go back, find the step that was done too quickly and redo it. If these earlier steps have not been done properly the negotiation will be difficult and may result in failure. It is therefore vital not only to know them perfectly but also to know how to do them correctly. One of the biggest pitfalls for many traders is that, they want to do everything on their own. The result is inevitable: If he does not delegate, he will be involved in activities of the daily routine that will impede the development of his business. For most traders, the hardest aspect when trading Forex is to deal with financial losses. It is not simply a matter of pain and anguish, but it is also a latent reality that losses are usually the catalyst that pushes traders to commit their worst mistakes, which can cause even greater losses and initiate a vicious circle in which the trader’s account is out of control. From this it follows that a trader must have a strategy to deal with the losses and be able to execute that coping strategy. It is useless to “know” that your losses are under control and how to keep them under control if you cannot apply what you know. Your strategy of coping with losses must be real. You must understand the logic behind your knowledge of the losses and believe in their truth with total faith. You should also use a fractional risk management system, which gives you more peace of mind knowing that there is a cushion to reduce the total losses of bad spells. You can also decide that, if you ever experience a drawdown much worse than the worst case of the last 10 years, you will stop operating and revisit your strategy. Once you are sure of the maximum loss you can tolerate, you must be sure of the method you use to decide when to enter and exit operations and what instrument to negotiate, and this must be a good method that produces a positive “hope”. This means that by reviewing a large sample of positions, you earn more money than you lose. This is important because, when you suffer a streak of inevitable losses, you will have the courage to move on. If it does not do so and it stops operating, or if it loses nerves and operates excessively, the winning streak that will follow the losing streak will be lost. Sometimes events happen in the market that trigger this type of large and sharp movements in the price that even if you are using a stop-loss your agent will not be able (or will claim not to be able) to execute. This means that when the stop is finally activated, you may find losses much larger than you had anticipated.You can avoid this problem by stopping trading any currency whose central banks have a policy of swimming against the tide of the market by linking its value to another currency, and not having open positions just before there is a great risk of event of something scheduled, such as a referendum. When you have taken the measures indicated above, you can have the confidence to risk money in operations within the parameters that you have defined. You will know what percentage of operations tend to lose, the duration of the spells and, most importantly, that over time tends to move forward. In this phase, we must accept that loss operations are natural, and are only necessary sacrifices that must be made in the market to make money: a “cost for doing business”.